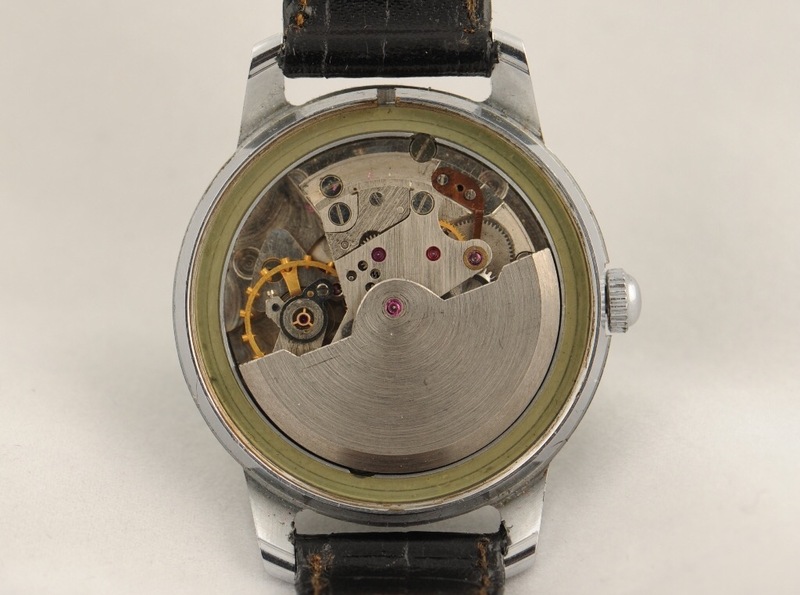 Unusual caseback, looks like an early example of a vremir caseback. Notice the word "series 1"
A combination of USSR and St. Basil's domes is a little strange no? What's the scoop on this one? Export variation? Or...? Last edited by mike.s; April 24th, 2017 at 23:58. It is legit, Luch also made one with two time zones. On ebay for $2K now... Not sure if Luch made quartz versions, not sure if they had mechanical as well. Yes, here is the previous discussion, started by you in fact: https://forums.watchuseek.com/f10/q-e...l#post25080314. 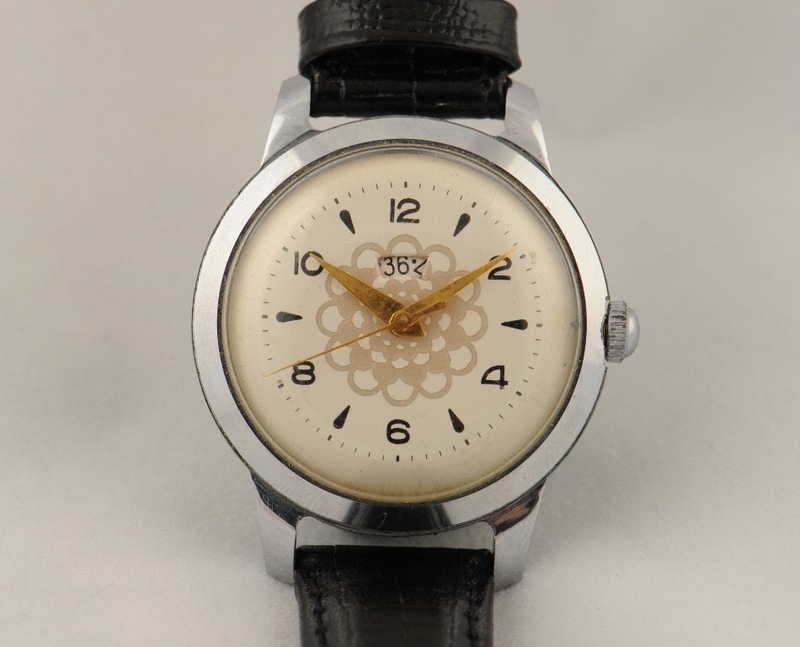 It was speculated that the caliber 3132 should lack a date mechanism, but it's obviously there on an OKEAH, so I dunno. It was also discussion at Russian forum and no real distinction was found (ÐžÐºÐµÐ°Ð½ Ð½Ð° 3132 - Ð¡Ñ‚Ñ€Ð°Ð½Ð¸Ñ†Ð° 2 - Ð¤Ð¾Ñ€ÑƒÐ¼ Ð½ÐµÐ·Ð°Ð²Ð¸Ñ�Ð¸Ð¼Ñ‹Ñ… Ñ‡Ð°Ñ�Ð¾Ð²Ñ‰Ð¸ÐºÐ¾Ð²). In one book there is the statement, but it's obviously not true. хх32 - с однострелочным секундомером и противоударным устройством (with one hand secondmeter/timekeeper and antichok). хх33 - без секундной стрелки, с противоударным устройством, календарём и высотомером (without second hand, with antichok, calendar and altimeter). For $530/delivered, yeowza. Amazing what a difference a rare movement can make. I picked up his brother (quartz) for less than $50. oldfox, tokareva and schnurrp like this. Such pieces were sold on russian forum for around $90 and it wasn't rush to buy them. Sorry, meant to be "not sure if Luch made mechanical versions". They definitely made quartz with round dials, but I don't know if that Slava dual-1601 ever made it to Luch's production with those particular 1601s. I've also read that Slava Duet was an experimental run in '84-85, never in real production. But that's a little suspect. Too many of them are available, though expensive as all get out for what it is, the cheapest one I see is about $550. Ham2, bpmurray, heimdalg and 1 others like this.